Originating in Mt. Dinara at the border of Croatia and Bosnia and Herzegovina, the Cetina River winds a tortuous course through the countryside until it finally empties into the Adriatic. 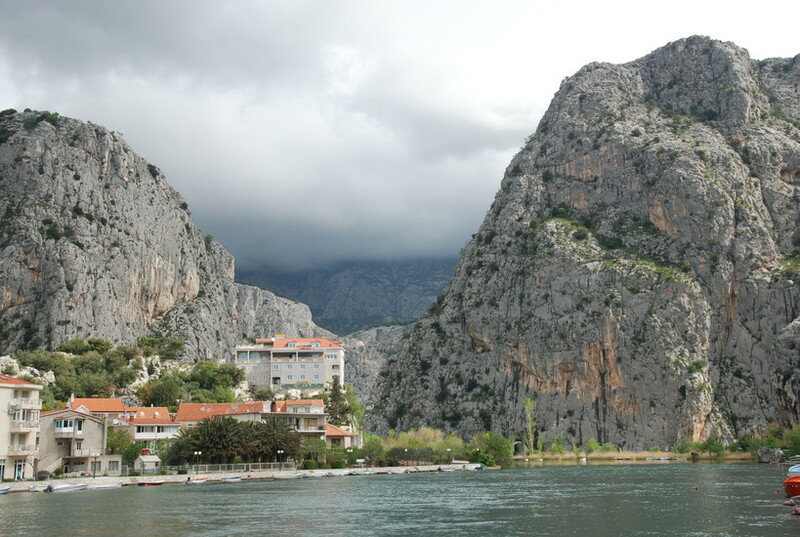 The mouth of the river passes through an impressive gorge near the small Dalmatian town of Omiš, a quiet and picturesque town that is the center of what has become known as "the Omiš Riviera." However, things were not always so quiet. 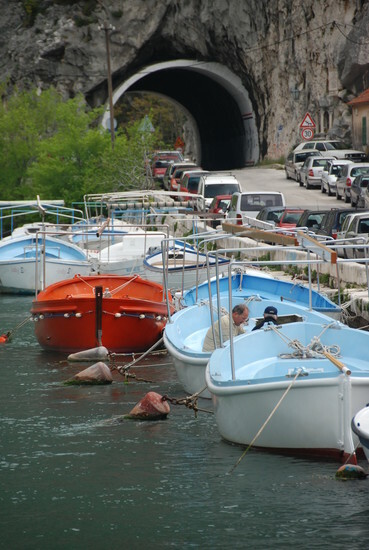 Omiš gained initial notoriety because of a band of pirates, the Omiški gusari or Corsairs of Omiš, that patrolled the waters in the area in special boats called "arrows", so named for their ability to attack quickly and retreat speedily into the mouth of the river. 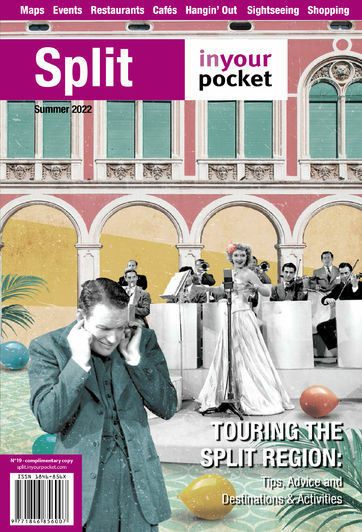 While it's true that today yachts are more likely to be seen cruising the waters of the Omiš Riviera than a group of fast-traveling pirate ships, there's still plenty of adventure to be had in Omiš. The mountainous areas around the town make for great hiking spots, the water is an inviting crystalline blue and the history of the town can be explored in the remnants of fortresses (like Mirabela, which the Corsairs of Omiš used to defend the town against attacks from Turkish invaders), churches and other structures dating back as far as the 13th century. 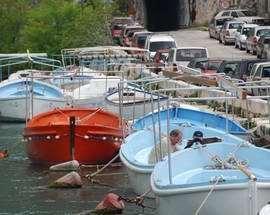 In Omiš there are eight famous churches. Three are located within the old city walls and include the church of St. Michael, the church of the Holy Ghost and the church of St. Rocco. 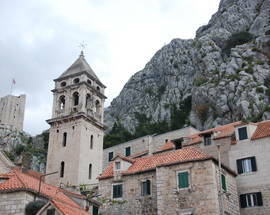 The remaining churches are located outside of the old city walls and include the church of St. Peter, the church of St. Luke and the church of St. Mary, located at the old Omiš cemetery. The church of Our Lady of Carmel is at the Franciscan Monastery and the remains of the church of St. John in Borak. 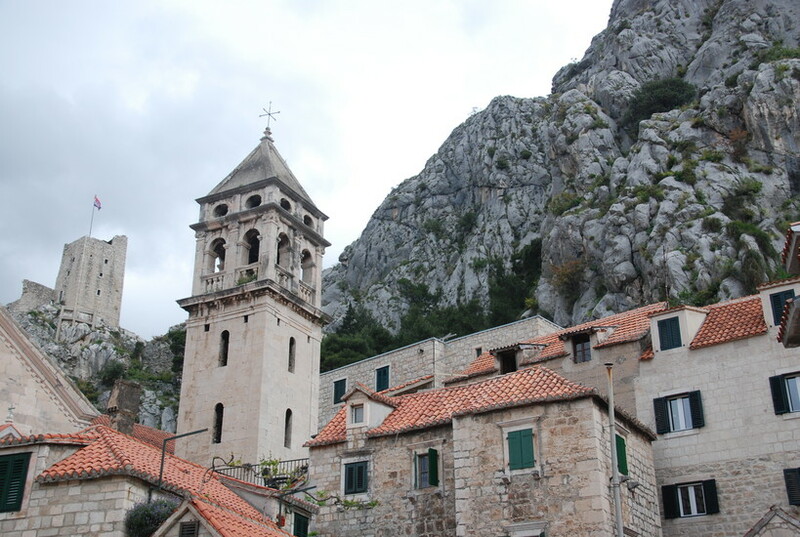 The Fortress (Tvrđava) is located on top of Dinara mountain and offers an enchanting view of the entire area, from the canyon of the Cetina River to the islands of Brač, Hvar and Šolta to the Dalmatian region of Poljica. And when you're finished exploring the natural beauty of Omiš and it's history, the town's central location makes it a perfect starting point for the rest of your Dalmatian coast adventure, hopefully minus any dreams of terrorizing the seas as a modern-day Corsair of Omiš. 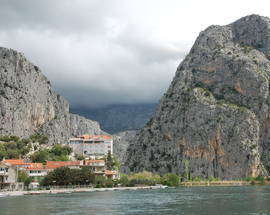 Omiš Tourist Board, Trg kneza Miroslava b.b., tel. (+385-21) 86 13 50, info@visitomis.hr, www.visitomis.hr. Open 07:00 - 21:00.